Russian CW Club • Просмотр темы - Диплом "8 Марта - Ищите женщину"
Заголовок сообщения: Re: Диплом "8 Марта - Ищите женщину"
The diploma is established by RCWC in honour of our beautiful half﻿ - the International Women's Day - the 8th of March. 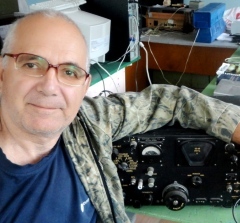 - Men-radio amateurs have to conduct not less than one contact with women-radio amateurs from any country of the world during the period from the 4th to 10th of March,2016. Contacts are valid if there are female names or YL(XYL) in received report. - Women will be awarded on the basis of data of contacts with them in men's applications or being noticed working in the days of diploma's action. Diplomas for men and women and certificates for wives and girl-friends have their own original design. Bands: 160M; 80M; 40M; 30M; 20M; 17M; 15M; 12M; 10M. SWLs get the diploma for two-way observations on the same conditions. The application in text file is handed in only by men and desirablely at once after having conducted a contact. The deadline of handing in the application is the 18th of March,2016. The application's form is an extract from the log with data about yourself and contacts. Diplomas and certificates are issued in electronic format. 73! The Council of RCWC. Уже сработали но нам это не хватает. Ищем остальные. Направляю праздничные открытки для YL ! По отчётам "охотников за дипломами на КВ"
я не знал об этом клубе прежде! Таким образом, я хочу вступить в члены этого клуба. Очень хороший веб-сайт клуба. Спасибо веб-мастеру и другим, которые делают это для Нас. Ольга, в следующий раз, пожалуйста, РЕАЛЬНЫЙ RST не HIHI на 5 нН. Мой диполь выше на направление на 8.5 м к UA, для 15/17/20m. Я часто работаю на общий вызов, ищу станции UA и RDA. Я тащусь к тебе на встречу. Королеве, КОРОЛЕВЕ ! Красоты... !!! ( Я рад, что в жизни повстречался с этой женщиной).